The E27 bulb has a common fitting also known as the Edison Screw which is a screw type fitting compared to the Bayonet B22 that is push and twist. The E27 first developed by Thomas Edison is commonly used across Europe and is becoming more popular in the UK. The E27 is characterised by thread that is 27mm across in contrast to a wide variety of other thread sizes used in other countries such as the E26, E29. Traditionally bulbs have come in a range of different brightness levels that are proportional to the power (Wattage). Common types are 40W, 60W and 100W. Candle style bulbs and spotlights are also available with this connection. 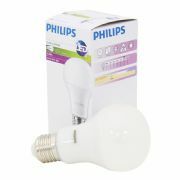 Please have a look at our wide range of bulbs that come in warm white and dimmable options. 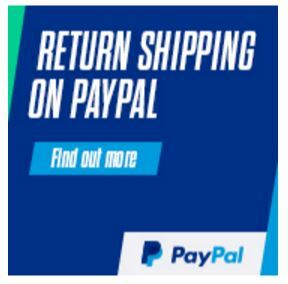 We only use the best LED chips from Samsung, Edison, Epistar, Philips and Osram. To help our customers in switching over to LED bulbs we are including videos on our site that show direct comparisons with LED bulbs and traditional incandescent or halogens. All our bulbs have exactly the same fittings as the normal bulbs so there is no need to call an electrician to install. It is a simple case of taking out the old and putting in the new. As our LED bulbs last on average 50000 hours it may be a long time before you actually have to change a light bulb again. Some of the key benefits of using LED technology is that compared to a standard incandescent of halogen on a fraction of the power is required to achieve the same brightness. Typically savings of 90% in energy costs can be achieved. As these lamps use less power they also generate much less heat which can be particularly important in environments which need to be kept cool and can alleviates additional stress on air conditioning requirements. One particular feature of the technology is instant light so there is virtually zero warm up time in contrast to compact fluorescent energy saving lights. Unlike fluorescent lights there is no flickering due to the technology or harmful substances such as mercury. 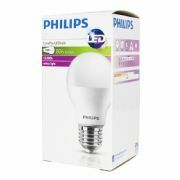 We have a wide range of bulbs from leading manufacturers including Philips, Integral, Ledify and Kosnic. Our bulbs also are designed an superior beam angle up to 340 degrees for some models whilst many competitors although selling similar products only achive in some cases 120 degree beam angles. We ensure that our specification from the manufacturers is a high as possible whilst maintaining a competitively priced product which means we expect a minimum colour rendering index of 80 or above. This is one area where products can be made cheaper and still give a bright light, however the colour rendering index is one measure of the quality of light and anything less than 75 is likely to be noticeable. For example skin may appear to have a greenish ting under light of low quality. Dimmable versions of some bulbs are also available If you have any questions about our products please contact us and we will happily assist.